We are very proud to be partnered with Barter First. Barter First members can now purchase their copies of Santa and His Super Hero and Zippy and His Super Hero using barter. The only thing we ask that we get $5 cash for each book we sell thru Barter First that we will pass on directly to the respective charities. 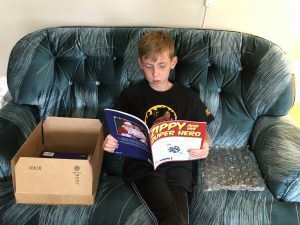 $5 from each Santa and His Super Hero book sold will be donated to the BC Burn Fund. Normally the cost of each book is $20 CAD or $35 CAD for the set. Barter First members pay $5 cash plus $15 Barter Bucks per book or $10 cash plus $25 Barter Bucks for the set.